Will Britain's European workers get the boot? The Brexit vote is sending a harsh message to Europeans who are living and working in the United Kingdom: You might not be able to stay. European Union rules guarantee visa-free movement of people and workers across its 28 member states. But once the U.K. exits the EU, free movement could stop, leaving EU passport holders in Britain worried about whether they can keep their jobs and stay in the country. The Oxford Migration Observatory estimates there are 3 million EU-born migrants who live in the U.K. About 1.9 million of them -- or 63% -- are working. Legal experts say things won't change right away. But over the long term, the situation remains unclear for both EU workers and their employers. EU passport holders will legally be able to stay until the U.K. definitively breaks away from the EU. That process will take at least two years. 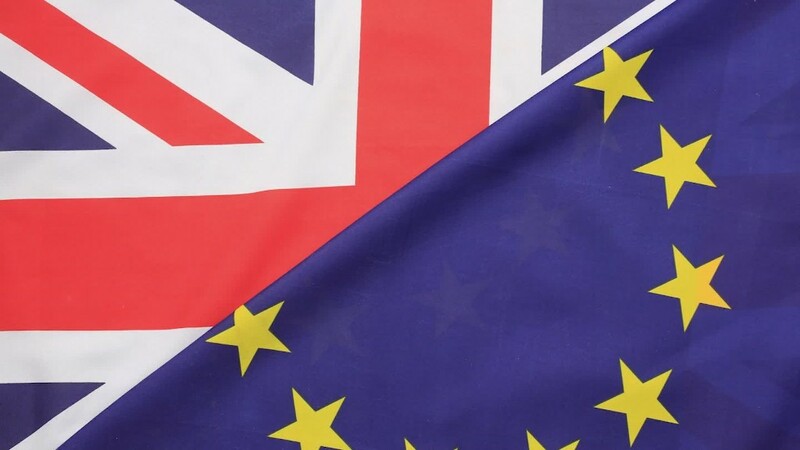 "We don't envisage anyone having to leave before that two-year period," said Sarah Henchoz, a partner at Allen & Overy who specializes in U.K. employment and labor law. Related: Britain's 'Black Friday' is here. Now what? The British Vote Leave campaign had previously reassured European residents ahead of Thursday's referendum that they would be able to stay put. But experts are concerned about how this would work. "Saying 'Everyone here can stay' is a good start, but it's not a law. It's not something you can administer," said Jonathan Portes, principal research fellow at the National Institute of Economic and Social Research in the U.K.
"To actually define who has the right to stay and who doesn't will be a really, really, really difficult task, both legally and administratively," he said. Nichola Carter, a U.K. immigration specialist and partner at Carter Thomas Solicitors, recommends that EU workers who want to stay in the U.K. for the long term should immediately apply for a Permanent Residence Card from the U.K. Home Office. "Any EU national who wants to stay here who has not applied for a Permanent Residence Card is taking a risk with their future," she told CNNMoney. But only people who have lived in the U.K. for five years are eligible. And the process isn't easy or quick. The application alone is 85 pages. The Home Office requires biometric, banking and work documentation, and it can take over six months to get the card, said Carter. As it stands now, the U.K. has a complex immigration system that limits the number of people outside of the EU who can come in. It's widely assumed that this system will be expanded to cover European citizens after the U.K. exits the EU. This would cause a huge backlog of paperwork for companies who want to hire and keep their European employees. Meanwhile, some immigrants are now questioning whether they want to stay in a country where they feel unwelcome. Laura Spoelstra, a Dutch national who has been living in the U.K. for the last 25 years, reacted with anger to the referendum results. "Do I really want to live in an island ... that's pulling its walls up?" she told CNNMoney. "I respect democracy, but what democracy is telling me is that it doesn't like foreigners," she said. I am an immigrant. I've lived in the UK for 22 years and been a citizen for 11 of those and I've never felt as unwelcome as I do now. On the flip side of this situation are the estimated 1.2 million U.K. nationals who are living and working in Europe. Their ability to continue living in other European countries has now come into question. -- Do you hold an EU passport and live and work in the U.K.? We'd like to hear your story. Email Alanna Petroff or tweet her @AlannaPetroff.